The festive season is almost upon us and, for many businesses, this means it’s time to find temp staff to fill the gaps, either covering the roles of those employees on longer leave or adding to the staff compliment for busy industries like retail or hospitality. If you’re in the market to fill short term contracts in your business, then finding the right people for the job is a must. Just because an employee is temporary doesn’t mean they shouldn’t be able to do the job and do it right. In fact, hiring temps that don’t have the necessary skill or aptitude for the role can lead to disastrous results, hindering rather than increasing your productivity levels and client satisfaction. Know what you want. If you are hiring someone as a temp, it stands to reason that they will be with your business for a short while. In order for them to contribute in the most positive way, you will need to clearly define their role, the expectations of the job and the deadlines. Not only do you need a clear idea of what is expected, potential candidates do as well. Specificity and detail are key when putting together job descriptions and adverts for temp candidates. Look for experience and skill. With permanent employees, you have the opportunity to provide those with potential (but not necessarily the perfect qualifications) with induction and training over time. Time is not a luxury associated with a temp position. While temp workers don’t necessarily have to be qualified in the work of your business, some experience and know-how is a great advantage considering the short term nature of the work. Depending on your industry, look for candidates who are able to get stuck in straight away and provide immediate assistance rather than individuals who know nothing about the work you do. Keep it legal. Just because an employee is temporary does not mean that they do not have the same rights as permanent staff when it comes to conditions of employment. And that also goes for the businesses that hire them – in line with South Africa’s stringent labour law regulations, employers must adhere to temporary employment laws or face potentially costly consequences. Understand the guidelines around temporary employment and make sure all your temp positions follow the letter of the law. FYI – because we work with leading labour attorneys, we can help you with that. Work with the experts. When it comes to finding the right people to work in your business, whether that’s permanent employees or temps, there is so much to consider. From recruiting strategies to evaluation tools to writing up job descriptions and screening potential candidates… the list goes on and on! Save valuable time and energy, and make sure you get the best possible candidates, by working with a professional recruitment agency (like us!). There are so many advantages to working with a professional staffing agency, including the fact that reputable agencies pre-screen their candidates to ensure their clients only meet with the most suitable individuals for the job. When it comes to temp placements that means you see the best the market has to offer in line with what you are looking for right now. At Lee Botti and Associates, we have over 40 years’ experience in recruitment across the supply chain, logistics and travel industries, and have filled positions all over South Africa. 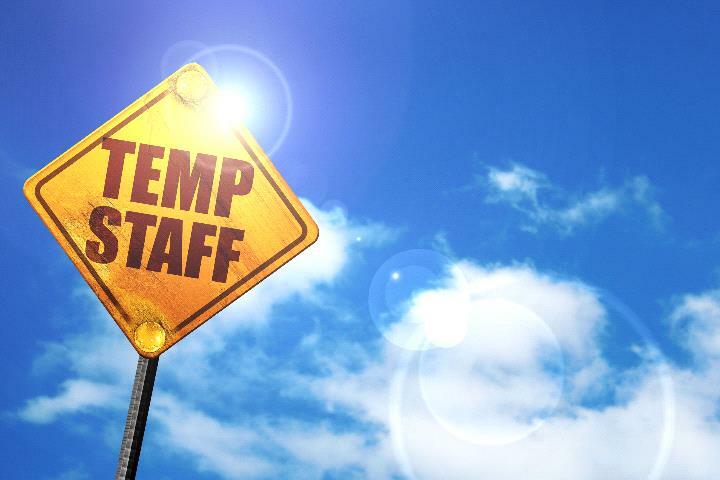 Our expert temporary staffing team, Temp Alternatives, know just how to find the best candidates for temp placements and our skilled consultants always have customer care and service excellence at the heart of what they do. Talk to us about your recruitment needs and we’ll help you find the people you need.